Born in Osaka, Japan, Tsutomu started to practice Bon Taiko at the age of 3 under the instruction of his father who is an Ondo Tori (meaning the “singer who sings on top of the Yagura at Bon Dance Festivals”) and a Taiko drummer. At the age of 10, he started to perform Taiko at local Bon Festivals in Osaka, and since then has performed in various Bon Dance Festivals all over Japan as a freelance drummer. 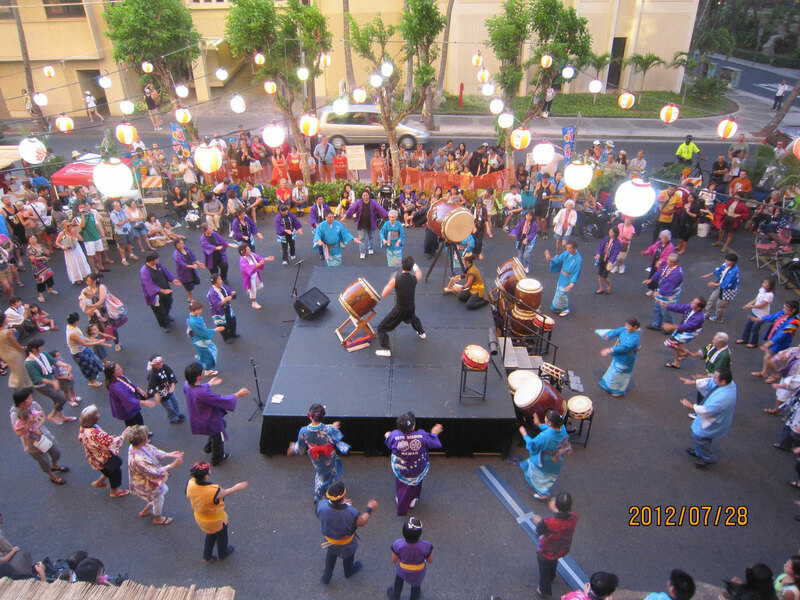 Aside from Bon Taiko, Tsutomu also exposed himself to diverse styles of Taiko performances, aiming to become an “almighty” Taiko performer. His experience includes playing traditional numbers from different areas of Japan and a performance style called Katsugi Oke Taiko which he would play an Oke Taiko, made using horse skin, hanging from his shoulder. In addition to his solo skills, he also enjoys ensemble performances with his teammates using a mixture of multiple different styled Taikos. He started up a Taiko team in Japan called “Wa Taiko Yu”, and performed in many concerts and stages, and in 2005, along with his co-members of the Neyagawa Junior Chamber, established “Wa Taiko Sasuke” and started to act as an instructor for those that had never played Taiko in their lives. 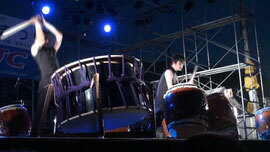 Now, Sasuke has become a popular Taiko team which performs over 20 stages annually. 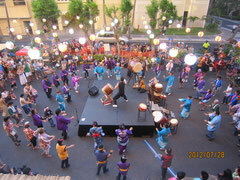 With the Sasuke members, he was aggressively involved in teaching Taiko to preschool students and kindergarteners. 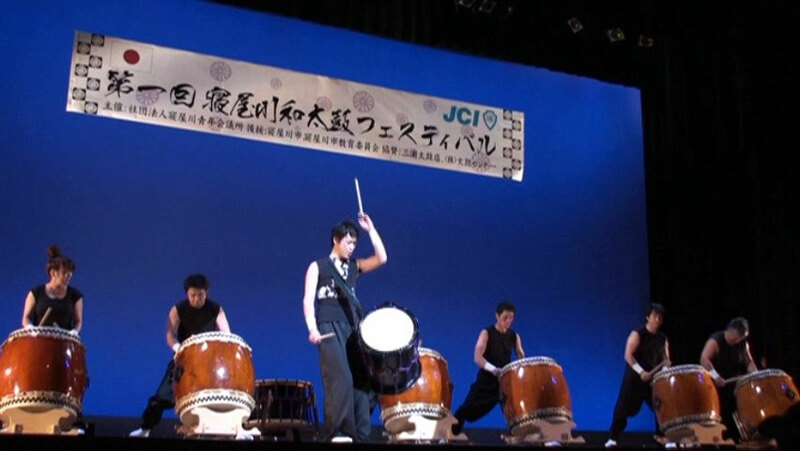 In November, 2009, he planned and produced the very first Neyagawa Wa Taiko Festival, which became a great success with over 1,200 audiences and has been continuing every year since then. Tsutomu does not only perform as a member of both Yu and Sasuke, but also serves as the master of ceremony for the festival. In 2012, the 4th annual festival will be held to please the Taiko fans of Osaka who are eagerly looking forward to this annual event.